Posted by J Cole Morrison on March 15th, 2017 . In this post I'm going to cover a very simple and powerful use case for Docker in a local development workflow. 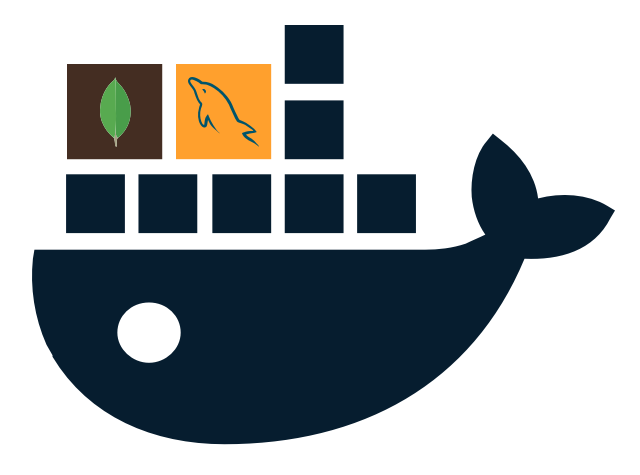 Using docker to create fresh, separate instances of MySQL and MongoDB for any project or app. I'm not going to spend time explaining what Docker is, why we should use it, etc. There's enough wacky definitions out there without me adding to them. Instead let's apply it to an actual development problem. A simple day-to-day bottleneck I face is switching projects that use a datastore. One project might be on MySQL 5.6, one on MySQL 5.7, one on MongoDB 3.0, one on MongoDB 3.4, one on some antiquated MySQL 5.5...sound familiar? If not, it will at some point. We'll walk through doing this with both MySQL and MongoDB. Let's start with MySQL. Almost forgot to add this in. Installing docker is required. Nowadays it's as simple as downloading and installing almost any app. 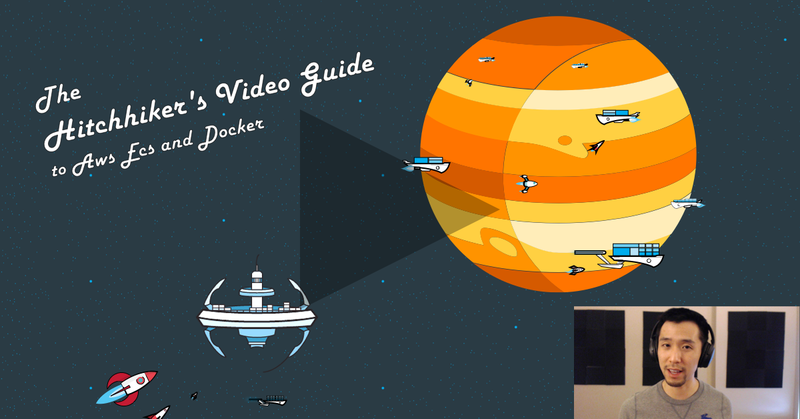 Just hover over Get Docker and select your preferred installation. 1. Go to the project directory of your desire. If you don't have one, create a new directory called example-mysql and cd into it. This can be any directory of your desire, whether it's a wordpress instance, node.js app, rails app, etc. Basically, wherever you run the commands to get your app up and running. # Name of the service as Docker will reference. # The image, change 5.7 to any of the supported docker versions. # root user, non-root user both with passwords. # What port do you want this MySQL instance to be available on? # perspective. The right hand number is the post that it's linking up to. # In this case we're saying "link our local 3306 to the docker container's 3306"
# place just for this particular dockerized MySQL instance. # if you use a named volume, you must also define it here. This is the file used by Docker Compose to create docker containers from our specified images and settings. Docker Compose is just a tool in the Docker ecosystem that makes managing multiple containers much more pleasant. Yes, it's a part of Docker and not some 3rd party tool. In a nutshell, this file is telling docker compose that we'd like it to create a container from the official MySQL 5.7 Docker image. It should use our defined environment variables to create the root and non-root user. It should store our data in a local volume on our machine instead of in the container itself. For those newer to docker, I mean that when we install docker and signup, we gain access to the docker hub. This hub is full of official docker images that we can freely pulldown and create containers from. The official MySQL one allows us to provide it with the 4 above environment variables. If so, it will take those and create the root and non-root user and setup a database. Watch the DB logs and give it a minute to warm up and become available. Once that's completed, the database is live on port 3306 and ready to be used! Now let's actually dive in and use it. And enter the password we specified in the docker-compose.yml file - devpwd. After running this we'll be prompted for our password that we defined. Input it and you'll be inside of the Db! There's a few more commands we should know about in order to make our lives easier. First off, head over to the shell tab with mysql running and stop it with ctrl+c. Because of how we started it, as soon as we do so, it will kill the container and our DB will go down. However, we probably don't want these logs up all the time. And now we can continue business as usual in our current shell. This will show all the logs for our DB. Really, it will show all the logs combined for any services we have defined in our docker-compose.yml file, but since we only have the database, that's all we'll get. And it will remove your containers and the network. And now it will store all the data in the directory ./db relative to our docker-compose.yml file! A huge benefit of using named volumes vs. directories like this is that we can more easily reference them and use them in other docker-compose workflows. We can still do that with defined directories like above as well...but relative paths are only fun for so long. When we run the command docker-compose it looks for a docker-compose.yml file and uses that in the context. This is what allows us to easily reference our mysqlDb service just as its name, instead of having to dig through docker ps and using it's actual name. Not that any of it's difficult, but it's a lot more pleasant and version controllable to keep all of this stuff in a command. The above workflow can be repurposed for MongoDB as well. In addition to setting up the local mongodb, we'll also dive into how to setup a simple root and non-root user instead of just leaving mongo wide open. 1. Go to the project directory of your desire. If you don't have one, create a new directory called example-mongo and cd into it. # if we really wanted to. This just turns on authentication to our local mongodb and is entirely optional. I'm including just so that those who wish to use it's functionality have a nice little how-to. Just as before though, Docker Compose will docker pull down Mongo for us and up the containers and networks. To see where it is the process of warming up. This runs the mongo command in our mongoDb service, and puts us into our MongoDb! Now, if we didn't want to use the --auth, we'd actually be done. The DB is now available on port 27017 and can accept connections from our local developed apps etc. We literally don't need to do anything else. We could stop here and go about our business. If we did stop here, we'd be able to freely connect to and use this MongoDB Container. There's be no concept of users or authorization to jump in and use it. And for local development, this is generally what you want. However, since we've turned on --auth (for educational purposes), we get a one time, free login, to setup our admin user...after that, we won't be able to do anything. So we need to create an admin user. This switches us over to the Mongo Admin database. This creates a user called devadmin with the root permissions. If we try to log back in now, without authenticating, it won't allow us to do anything other than switch between dbs. Let's use our new user. $ docker-compose exec mongoDb mongo -u devadmin -p devadmin --authenticationDatabase "admin"
The --authenticationDatabase is just which DB to use when authenticating. Had we made devadmin in a different database, we'd need to specify that one instead of admin. Awesome. Now if let's create a non-root user. 12. Run the following to create a different user for just read/writes into the test database. $ docker-compose exec mongoDb mongo -u testuser -p testuser --authenticationDatabase "admin"
Woohoo! Now we have an root and non-root user to work with in our Docker MongoDb. Again, the --auth part is completely optional. If you just want a quick mongo instance up for a local dev (which you don't really need auth for), just stop at atep 4. Once again, the same from MySQL Section also apply here. One major thing to remember. If we switch out our volume being used for another, all the data in our database is gone. Sure, we'll still be using the same docker container, but it won't be using the same data (and thus databases). For example, in our Dockerfile, if we renamed the volume property from devmongo to devmongotwo, and boot up our mongo container, we won't have access to any data we may have written will devmongo was our volume. We can simply switch back over to devmongo if we want to access that again. In this post we covered setting up separate, independent MySQL and MongoDB databases via docker. Having a clean database instance for each project frees up a lot of mind space since clashing settings and versions become a non-issue. It's also incredibly convenient to have the databases go up and ready for usage in a few simple commands.